If you are divorcing your spouse, one of the most crucial issues you will face is that of child custody. In most cases in India, the issue of child custody is settled between parents themselves, thus avoiding the need to go to court. 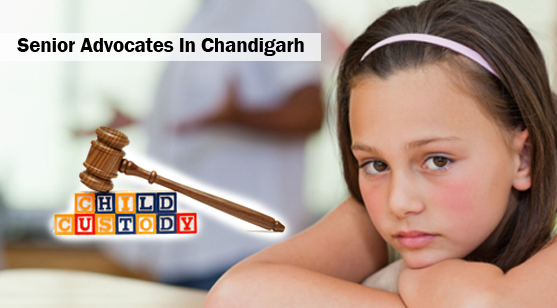 But in case you are contesting the issue of child custody, you need to approach the courts. In India those who are less than 18 years are supposed to have a legal guardian. The person who is given the responsibility of guardianship has to take care of the needs of the child. In some cases, both parents will be given custody of child though physical custody may rests only with one parent. This decision is taken by the court in the best interests of the child. If divorce is unavoidable, the best lawyers in Chandigarh, Punjab try to ensure that there are no bitter battles between spouses for custody and access to child. Custody of child only refers to his physical custody (with whom he resides). Both parents remain natural guardians. The primary care giver for the child will be the custodial parent who is responsible for the educational, medical and emotional needs of the child/children. But the non custodial parent is not cut-off and will have the right of access. This will be ensured by the senior advocates in Chandigarh high court. Custody is not determined primarily by financials status of the parent but rather by the capacity for a secure and safe environment. A non-earning mother will not be denied custody but rather a father will be asked to provide child support expenses to her. Mostly the mother is provided custody of children of tender age. But when child reaches discernable age, his /her wishes will be considered by the court to grant custody and access. But the notion that the father will be given uncontested custody of child after a particular age is wrong. Senior lawyers in Chandigarh high court will vouch for this fact. With whom will the child stay? What kind of access will the non custodial parent have? How will they meet the educational and living expenses of the child? New terms of settlement have evolved like joint custody, which is a concept non-existent in statutes but evolved during negotiations of divorce settlements. Joint custody implies that one will be given physical custody and be prime care giver while both parents will be given legal custody. The non-custodial parent will have rights of access monthly, fortnightly, weekly or daily. It could be day access or overnight access over special days or holidays. It also could be free access without fixed schedule as per the convenience of the parent or the child. You as a parent must remember that like some rights such as rights of custody or access rights, there are some corresponding duties. It means you have to provide maintenance and support for the child. The parent can agree to a single lump sum payment for the child or staggered payment at the different stages of the educational life of the child or monthly payments that can be changed incrementally. Whatever be the case, the amount must be enough to provide for the growth and development of the child.